A few years ago as Marilyn Karpoff was managing her real estate business she discovered that clients, co-workers, and peers – many of whom are baby boomers – were struggling with lifestyle choices for themselves and their aging parents that were throwing off their work-life balance. She immediately understood the implications for her business. More importantly, because of her own family life situation, she understood on a very personal level the needs of this population very well. Marilyn, as a baby boomer herself, cared for her elderly mother. Because her mother chose to stay in her own home, Marilyn began educating herself about growing older without having to move, or as discussed in the new, trendy senior living terminology, “Aging in Place” which she found her mother fully embraced. She did not want to leave her home, it was familiar and warm. Marilyn successfully modified her mother’s home to accommodate it for safe living so she could maintain her independence. In her work, Marilyn also began encountering situations with seniors who had no family or children, or whose closest relatives lived far away. They needed assistance with emptying their residence once they decided to downsize or move to an assisted living or retirement community, as well as managing all of the tasks associated with the relocation. Marilyn knew she had an innate affinity for the emotional support required for this type of transition as it allowed her to utilize her positive approach to life, warm and lively personality, and can-do attitude. To ease the physical burden of moving, she realized she had the perfect contacts through her real estate business. This led to the natural outgrowth of her company and in 2010 Marilyn developed the signature service, Moving On NYC. Senior Transition, which includes Aging in Place, is a growing phenomenon within the baby boomer generation because more than 50 percent of middle-aged people today still have both parents living. Only about 5 percent of previous generations had parents living when they reached middle age. Because of the inherent challenges, grown children need emotional and physical support while caring for their parents during a change of life circumstance. Moving On NYC understands and appreciates the difficulties of aging and eldercare, as well the burden of loss. 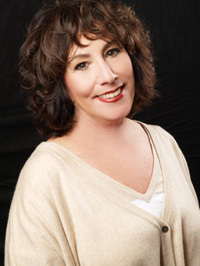 Marilyn Karpoff realizes that everyone’s situation is unique and offers personal, individualized, and confidential transition planning through Moving on NYC to help you lessen the stress and make the transition smoother. Change is not easy but we can help you take those first steps. Shannon Holley is a Florida native who decided that NYC was the place to build her career and raise her family. With over 20 years of sales experience, Shannon knows that relationships are everything and she attributes her success to being able to put herself in her clients shoes and put their needs first. Shannon has spent the last 10 years making New York her home and she looks forward to helping you find your perfect home. Being an ambitious individual, a people’s person, he has been working in many facets of real estate hospitality for over 5 years starting mainly in residential buildings. His goal is to excel in property management and sales. Rafael joined Marilyn’s real estate team because of her experience, hard work ethic, intelligence, and most of all, because she is a caring individual. His experience from prior work in hospitality will contribute to this team. Vincent Manzo has over 35 years experience, identifying and appraising, antiques, and objects of art and their value. Most recently He has maintained a store called yard sale in East Hampton Li for 20 of those years and whose talents were discovered by Martha Stewart asking him to partner with her daughter in creating Yard Sale! He has worked for Sacks 5th Ave , Hermes, and Tiffany and Co. As display director always surrounded by luxury items knowledgeable of their value! He will treat you and your possessions with the utmost respect and knowledgeable care! Melanie H. Fisher brings over 25 years of business experience to the table. Melanie’s main focus is residential, commercial and construction projects. Her hands- on approach ensures that Melanie’s clientele is assured of a carefully organized experience. As a family-owned and operated business, we take personal pride in delivering the best service for a GUARANTEED, flat-rate price. We also recognize the importance of client referrals. A business like ours thrives on its reputation, so we make it our mission to provide the very best service and cultivate our hard-earned reputation for getting the job done professionally, on time and on budget. Movers with over 25 years experience, we know how to make moving extremely efficient. We are keenly aware of how precious your time is, and strictly adhere to following a move timeline. We handle everything from planning, packing, and labeling to unpacking in your new home, we take the hard part of moving and make it a simple affair for you. We wrap large items, furniture, paintings and hang clothes in wardrobe boxes. There are no surprises or hidden charges on moving day. We have experience moving small to large businesses, whether it’s during the week, overnight, or on weekends. We are fully bonded and have extensive insurance required by commercial buildings. We can handle everything from packing, labeling, computer and telecom moves, unpacking, and furniture disassemble/reassemble to ensure a swift, hassle free move. We coordinate every detail of your relocation so that we can minimize the interruption to your day-to-day business and get you back up and running fast. We can handle storage moves for you as well. If you do not already have a storage facility you use, we can arrange affordable storage unit(s) for your items, for long or short term storage. We will ensure the storage facility will meet your needs for large items, climate control, ease of accessibility, or any other requirement you may have.